édité le 03/12/2014 - Plus de news de "CHEVRON" - Voir la fiche entreprise de "CHEVRON"
Chevron Corporation announced that crude oil and natural gas production has begun at the Jack/St. Malo project in the Lower Tertiary trend, deepwater U.S. Gulf of Mexico. Jack/St. Malo is a key part of Chevron’s strong queue of upstream projects and was delivered on time and on budget. Chevron (NYSE: CVX) is one of the world’s leading integrated energy companies, with subsidiaries that conduct business worldwide. The company is involved in virtually every facet of the energy industry. 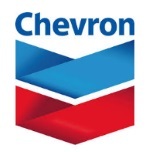 Chevron explores for, produces and transports crude oil and natural gas; refines, markets and distributes transportation fuels and lubricants; manufactures and sells petrochemical products; generates power and produces geothermal energy; provides energy efficiency solutions; and develops the energy resources of the future, including biofuels. Chevron is based in San Ramon, Calif.